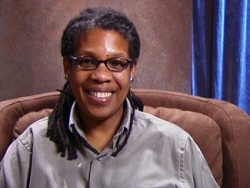 Trish Millines Dziko is the co-founder and Executive Director of the Technology Access Foundation. A native of New Jersey, Dziko focused on college and ultimately became a first-generation college student. Ms. Dziko also made history by becoming the first woman to be awarded a full basketball scholarship for Monmouth College in West Long Branch, New Jersey. She received her B.S. in Computer Science in 1979. Dziko spent 15 years working in the high tech industry as a software developer, manager and consultant as well as a database designer in such industries as military weapons, business systems, communications, and medical equipment. In 1988 Dziko became one of the early employees at Microsoft Inc., in Redmond, Washington. It was during her nearly nine years at Microsoft that she became active in promoting awareness of the importance of diversity in the corporate world. In 1995, while working as a Senior Diversity Administrator for Microsoft, she noted the small numbers of African Americans and other people of color in the high tech industry. Attributing it partly to the limited access of those students and their families to computers, Dziko became co-founder of the Technology Access Foundation (TAF), a Seattle-based organization designed to provide science, technology, engineering, and mathematics skills to children of color. She became the full-time TAF Executive Director after leaving Microsoft in 1996. As one of the young Microsoft millionaires at 39, Dziko contributed over $150,000 to establish TAF. TAF’s programs seek to increase mathematical and literacy competencies for K-8 students through project-based activities that use technology as a tool for learning in an after-school environment. Each year about 70 teenagers enroll in the Technical Teens Internship Program that includes courses in programming, web site development, networking, and career development skills. The program also provides job-readiness training, college entrance preparation, and paid summer internships with local corporations or small businesses for practical experience. In addition, about 200 five to twelve year olds take computer classes to enhance their reading, math, critical thinking, and problem solving skills. Since its founding on October 1, 1996, TAF has taken the lead in preparing African Americans and other students of color for training in science and technology fields in colleges and universities. In June 2001, Dziko received an Honorary Doctorate of Humane Letters from Seattle University. Dziko lives in Seattle and continues to guide the Technology Access Foundation.